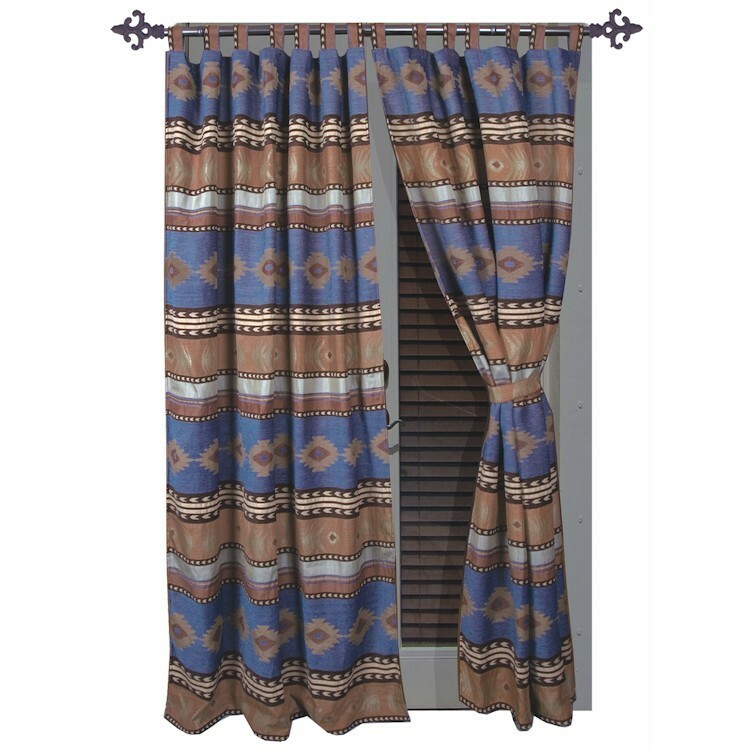 Sky blue, baked clay, brown and cream are woven together in a typical southwestern design on the Sierra Comforter Sets. 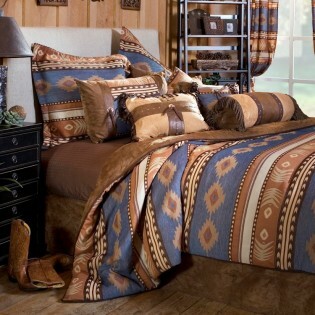 The comforter reverses to soft brown faux leather. 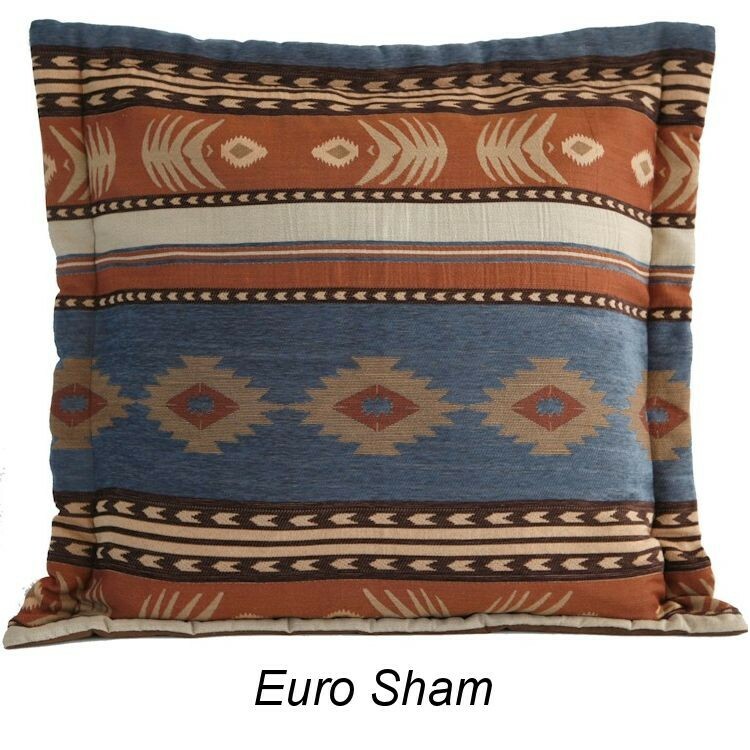 This western bedding ensemble is accented with pillow shams and a neckroll pillow that feature faux leather details.